Continental Carbonic offers the best aftercooler dryers for dry ice blasting. When using diesel air compressors as an air source for blasting equipment the hot, moist, oily air can cause clogs within the dosing system of blasting equipment. Aftercooler dryers cool, dry and purify the air from diesel compressors creating clean, dry air for an optimal blasting experience. Stage 1 - the hot, moist, oily air is pulled through a heat exchanger. The heat exchanger cools the air creating condensation. Stage 2 - the air goes through a water separator to separate the condensated water from the air. Stage 3 - the air goes through a coalescing filter that captures additional aerosolized oil and any other particulates. All media blasting equipment can benefit from clean, dry air including dry ice, sand and soda blasting equipment. 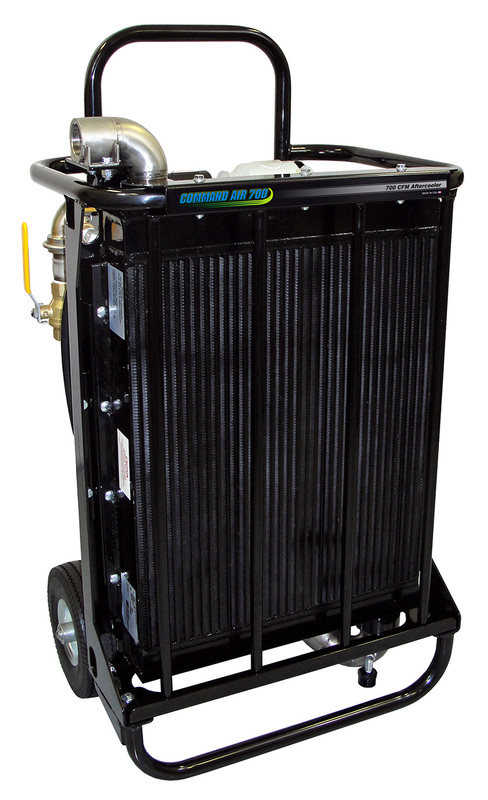 The Command Air aftercooler dryers are built on a universal frame with a hand truck design for durability and maximum portability. Features such as the oil free motor and airless tire keep maintenance for these models to a minimum. 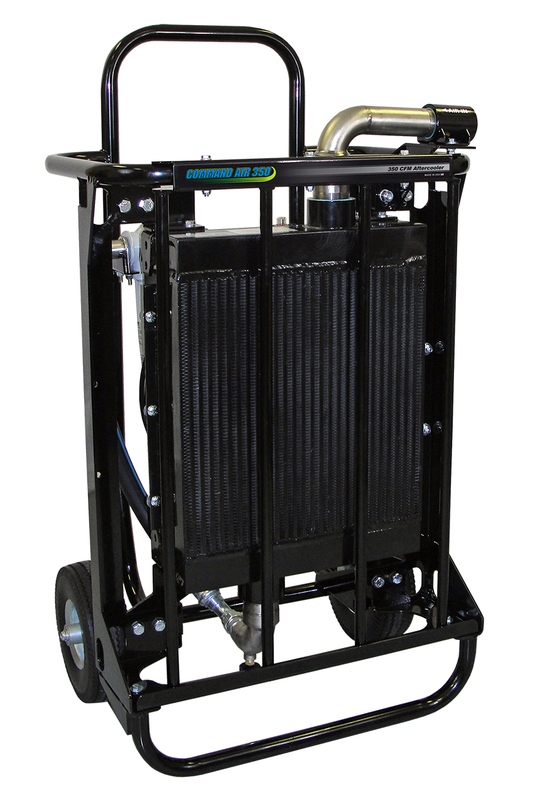 The Phoenix Aftercooler Dryers are mounted on a heavy duty hand truck package, making them durable and mobile. Premium filtration and self-purging features make these aftercooler dryers optimal for dry ice, sand or soda blasting. See our Safety & Technical Support area for more information on safety, training, air requirements, and owner's manuals.